We provide legal consultation for first 30minutes free. 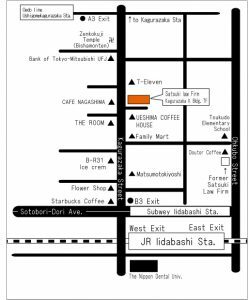 After 30 minutes, consultation fees shall be 5,000 JPY+tax per 30 minutes. Call 03-5261-8291 (9:30am to 5pm) for an appointment. 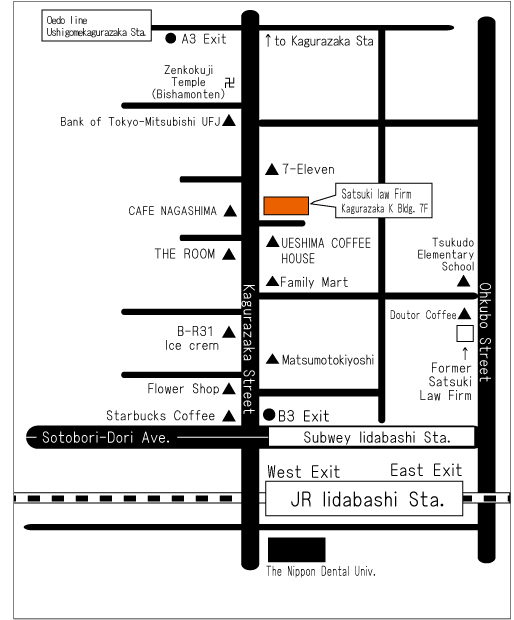 Place: Satsuki Law Office location and map.. If you need an interpreter for a language other than above, please make arrangements by yourself or contact us beforehand. Related documents: If you have the summary of the case or any other related documents or data, please send them to our office by e-mail or Fax.